The Friends of PIR is proud to present the 58th running of the Rose Cup Races July 13-15, 2018 and with some exciting news! 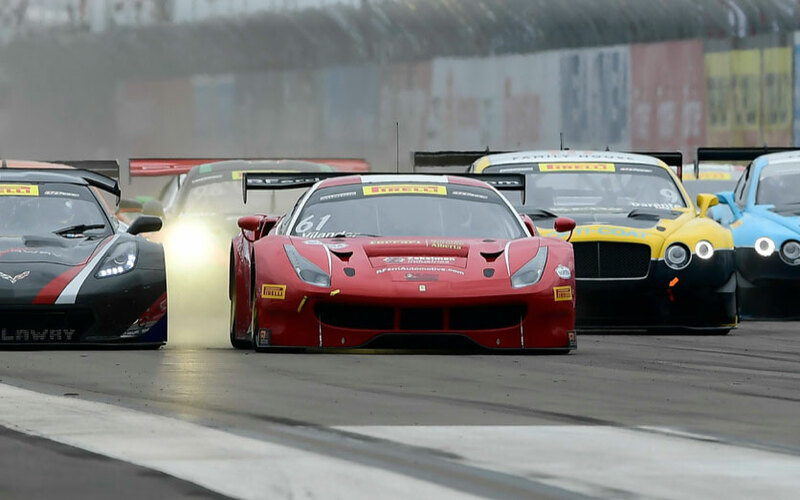 Professional Road Racing returns to Rose Cup with the Pirelli World Challenge Series, North America’s top GT Production-based road racing sports car series. 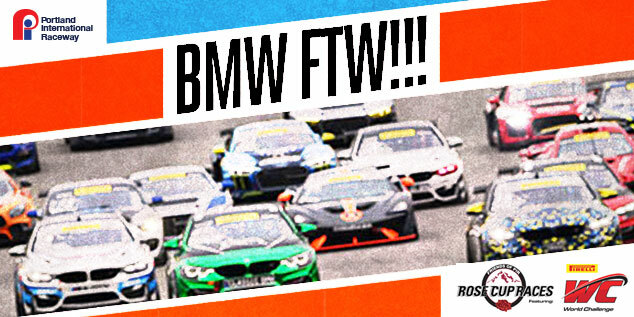 In addition to the GT and GTS categories, Pirelli World Challenge Touring Car classes have some spectacular wheel-to-wheel action in the three divisions with makes from Audi, BMW, Honda, Lotus, Mazda, Nissan and Scion. Each year your BMW CCA Oregon Chapter participates in the Portland Rose Cup Races with a BMW car corral. This year will be the same but better. This year the races will be incredible and we have the perfect place to park our BMW’s and watch the races! The car corrals will be positioned at the infield of the race track just behind the grandstands at the chicane. This gives us the best seat in the house to watch the races! From these grandstands you can see the straightway and turns 1 through 8 out of the 12 turn race course. Check out the Rose Cup website and purchase tickets here. Then join us in the BMW CCA corral. You only need a BMW; you do not need to be a current member of the BMW CCA Oregon Chapter. But we would love for you to join if you haven’t!